Share Your Travel Adventures in a Hi-Tech Way! Just returned from holiday? Then you must be looking for the best way to organize, show and share your photos and videos. Uploading a 100+ of photos to Facebook may be a bit tiresome, and showing them to your friends on your PC with you explaining all the historical data may lull them to sleep. In our hi-tech age, it's easy to make something more compelling. One of the most popular ideas for keeping pictures together is making a travel slideshow with music. This way you can stylishly embellish the story of your journey and add a suitable song. You can then play the slideshow on your computer or TV, or upload it to a social network and share with your friends. Need an example? Lean back and enjoy the video below! 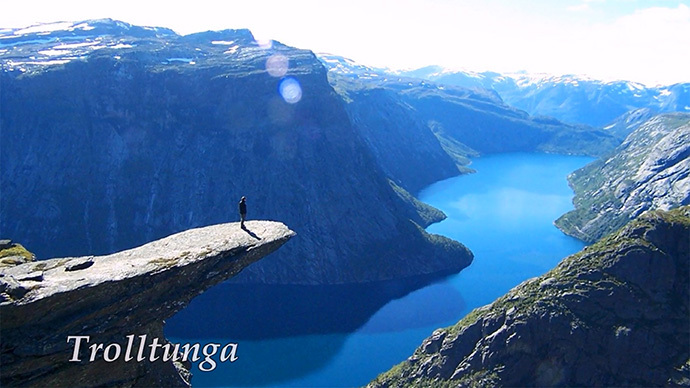 It features some amazing places you must see before you die. Take a three-minute tour of the the most beautiful places in the world without leaving your home. Besides being a spectacular travel slideshow example, this video might inspire your next trip. 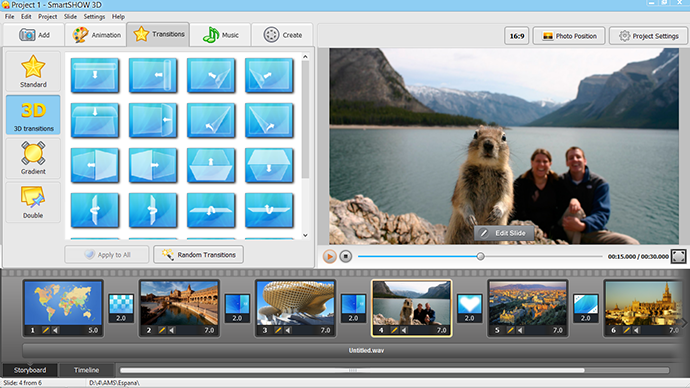 In order to create a travel slideshow like this, you’ll need a piece of software that can mix photos and music. 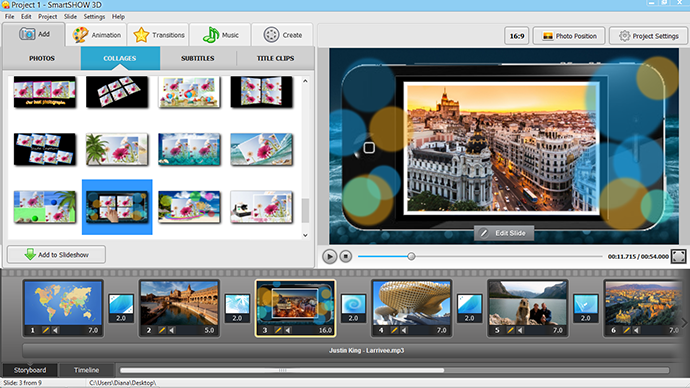 Give a try to SmartSHOW 3D – this photo movie maker comes packed with ready-to-use templates, animated collages and title clips. It also allows you to apply animation to the slides and select the most impressive transition style. On top of that, SmartSHOW 3D has an intuitive interface and customizable export settings. When you start choosing photos for your travel slideshow, you will find that ordinary shots of you and your family, buildings, beaches and landscapes may seem a bit boring if taken as a whole. You can add some spice to the selection by including photos of architectural details, panoramas, and pictures of your funny adventures. Try to mix scenery photos with portraits or street life shots. A narrative slideshow may turn out to be monotonous unless you keep it shorter than 4-5 minutes and include some personal and evocative events. Amuse your audience with extravagant costumes you tried on when you visited the local market, or with smart-alecky monkeys or squirrels who decided to direct the photo shoot themselves. Selecting the photos for your travel slideshow, think of how each shot will work in it and try to imagine a sequence of images that will logically lead the viewer from the beginning of your story up to the end. You can start with the photos of getting prepared for the trip or with the shots of the first place you visited. You could also begin with the sight that's least significant to you, and then put the one you liked most in the end. Another great idea is to include a map in your slideshow and demonstrate your itinerary to the audience. SmartSHOW 3D is a great aid for the travelers who want to create their own travel slideshow. 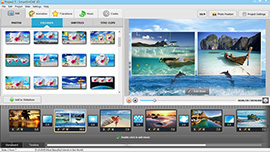 Its Slideshow in 5 Minutes section offers several ready-to-use templates with professionally mixed animation and photo effects. Whether you have been to old European cities or visited a tropical island, the template design will emphasize the beauty of the photographed places. Transitions are already selected for you, you only need to add the photos and a song and the slideshow is ready. Of course, all the settings are customizable - you can change the type of animation and transition, adjust the duration of the slides and more. Using your microphone, you can record sound and supply your narration with voice comments. If you prefer working with each slide individually, try creating a slideshow from scratch. It takes a bit more time, but the result can be quite amazing. For instance, check out the "Top 10 places to visit in Spain" slideshow - there you can see captions created by adding text in the slide editor. 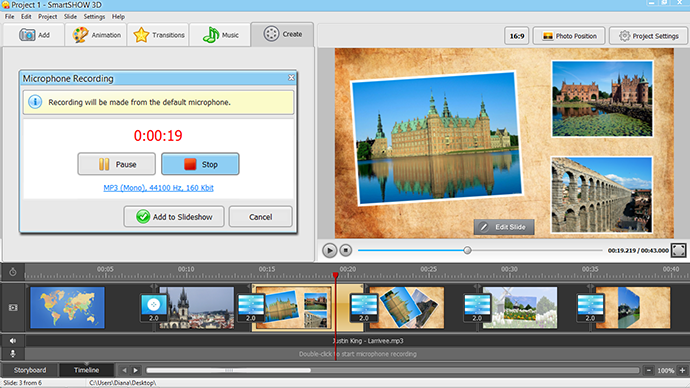 To save your time and effort, SmartSHOW 3D offers a pack of ready-to-use animated collages, subtitles and title clips. Collages are an excellent means to combine several photos of the same landmark in one slide. No doubt the Eiffel Tower is very beautiful, but six photos of it one after another may bore your audience to tears, so join them in a stylish slide design! If you are a keen traveler, creating your own travel slideshow is essential for you. Just imagine playing it at a party, and all your friends utterly and completely delighted. In our digital epoch, making slideshows has become very easy and popular. Do not allow your travel adventures to fall into oblivion. Turn them into a photo slideshow that no one can look up from!